The 5 Steps B2 Multi-Functional Treadmill is another top of the line heavy-duty treadmill presented by the official franchise of the Telebrands PAKISTAN. 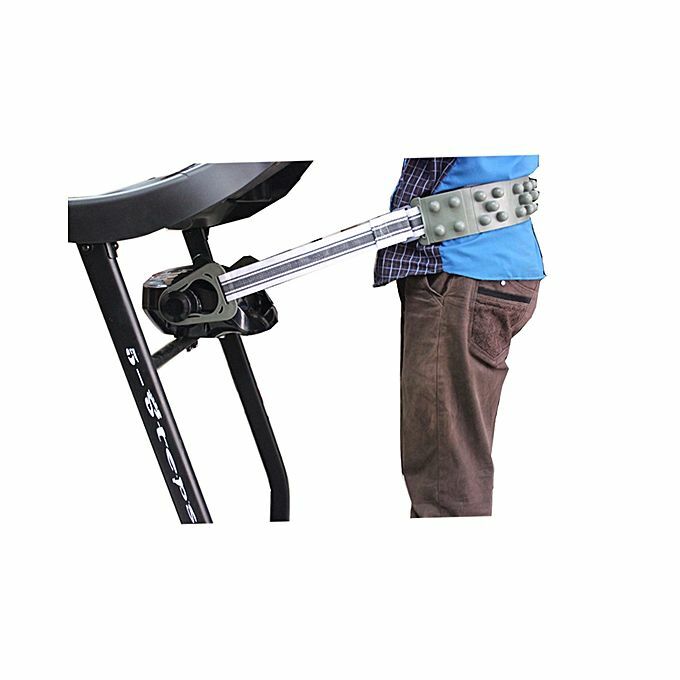 The 5 Steps B2 with Massager, Twister and Dumbbells, as the name clearly indicates, is a top of the line heavy-duty motorized treadmill designed to fulfill all the commercial gym purposes with ease. The 5 Steps B2 Multi-Functional Treadmill features the low-noise 3.0 HP DC durable motor that can easily withstand the maximum weight capacity of the user up to 120 KG in total. It means that all the individuals with body weight up to 160 Kilograms can easily use the treadmill as per their convenience. The 5 Steps B2 Multi-Functional Treadmill comes with the dedicated Massager, Twister and Dumbbells. It means that the user can remain healthy, wealthy and fit all the time. The 5 Steps B2 Multi-Functional Electric Treadmill has a top speed up to 12 Km/Hr, so all the users can easily set the speed as per their convenience. 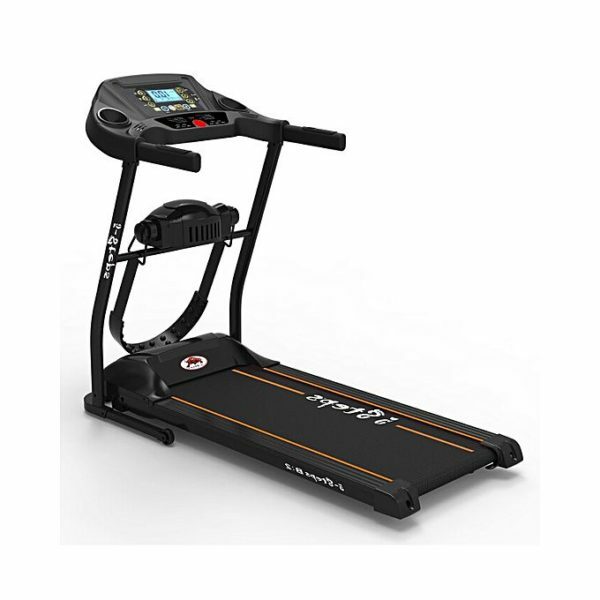 The 5 Steps B2 Multi-Functional Electric Treadmill is equipped with the 58 x 22 Inches track size with the belt size of 47.2 Inches x 15.8 Inches maximum. The 5 Steps B2 Multi-Functional Treadmill comes with the 10 Pre-set programs that allow the customers to easily select the one that best suit their purpose. The 5 Steps B2 Multi-Functional Electric Treadmill is equipped with the large sized LCD display that shows different parameters to the user as the Distance, Speed, Time, Calories and so on. One of the best features of the 5 Steps B2 Multi-Functional Treadmill is that it supports the 99% pre-assembly in the carton. If you want to purchase this top of the line treadmill, then all you have to do is to just dial, then number 0333.4115583 from your landline or mobile number.